Kabul: Synchronized attacks by terrorist unit Taliban on a military base and police training center in eastern Afghanistan on early Monday morning killed at least 12 and wounded over 30 people. Salem Asgherkhail, head of the area’s public health department, said to Times Now that most of those killed in the attack in Maidan Wardak province were military personnel. He added that the injured were taken to provincial hospital for further treatment. 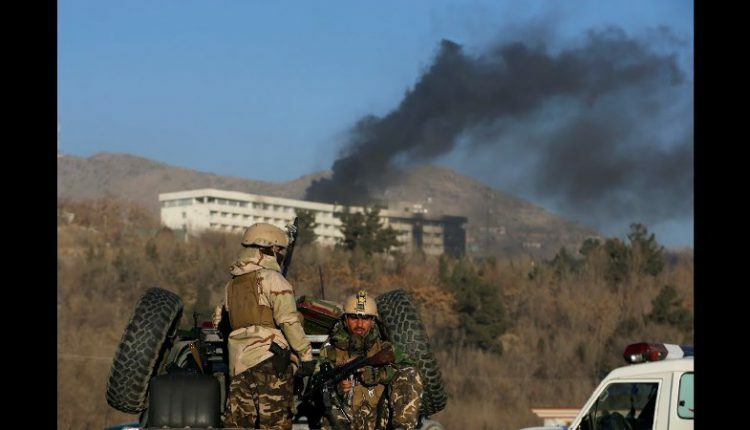 Nasrat Rahimi, deputy spokesman for the interior minister, said that a suicide car bomber struck the base first, followed by insurgents who opened fire at the Afghan forces. It was reported that at least 2 militants were killed by Afghan forces. These attacks were the latest of the almost daily attacks by the Taliban, who almost have a full control over Afghanistan. United States has stepped up its efforts in bringing peace to the war-stricken country; but to no avail. Afghanistan has been suffering at the hands of Taliban for 17 years now.